Unit 35 is a one bedroom serviced apartment located in an elevated and sunny position on the first floor. 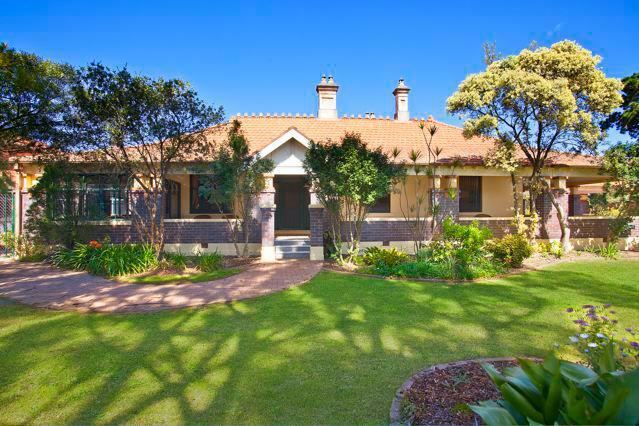 It overlooks the spacious flowing courtyard and pond, providing a tranquil outlook. It is conveniently serviced by a lift providing easy access to the dining room and other facilities. We are available seven days a week to show you this apartment. Unit 6 is a one bedroom ground floor unit in very good condition. The living area opens onto a delightful courtyard. Being north facing is enjoys sun all day long. 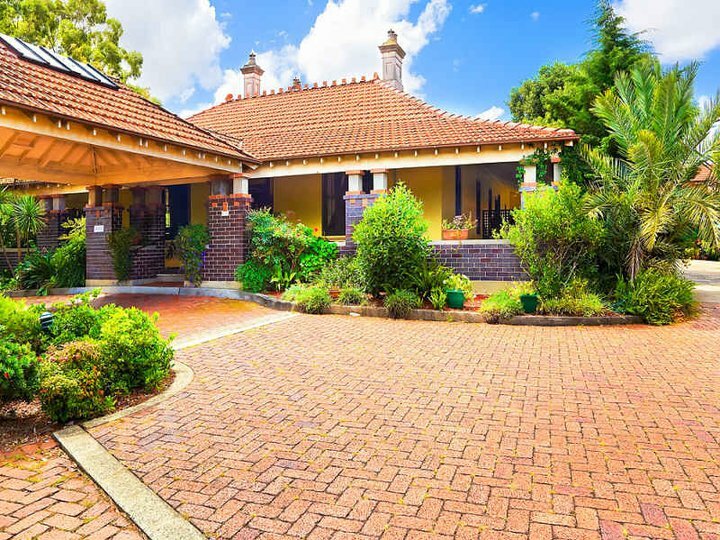 Located in a private part of the village. This is an ideal spot to make your own. Do a bit of gardening, sit outside and soak up the warmth and sunshine. The unit is ground floor and located with level access to the facilities. Inspections are available seven 7 days a week. Unit 14 is located along the pathway and facing east for the morning sun. The living area opens onto a lovely courtyard where you can add your own style.This unit is ideal for those who like privacy. This unit has been freshly painted and has new carpet. 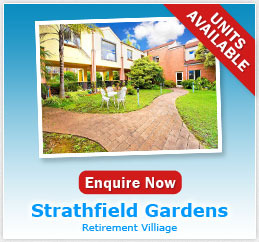 Ready for you to commence your new life at Strathfield Gardens. Unit 38 is the best priced apartment in the village. New carpet and new paint. Quiet location. 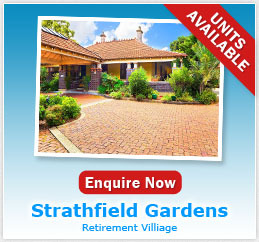 This is a great chance to buy a unit in this village. 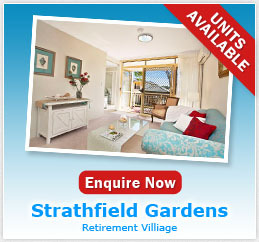 Call 02 9742 6048 to arrange a tour of the village and see this wonderful unit. Unit 1 is new to the market. This unit has a fully functioning kitchen which allows you to prepare your own meals. The unit opens onto a picturesque courtyard which has been fenced off, allowing for additional privacy or an area to keep a small pet. 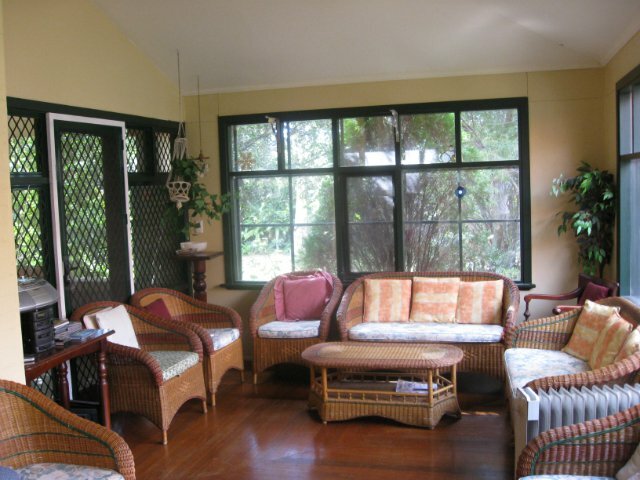 Wooden floors throughout. The unit is a delight to inspect. It also enjoys full winter sun. 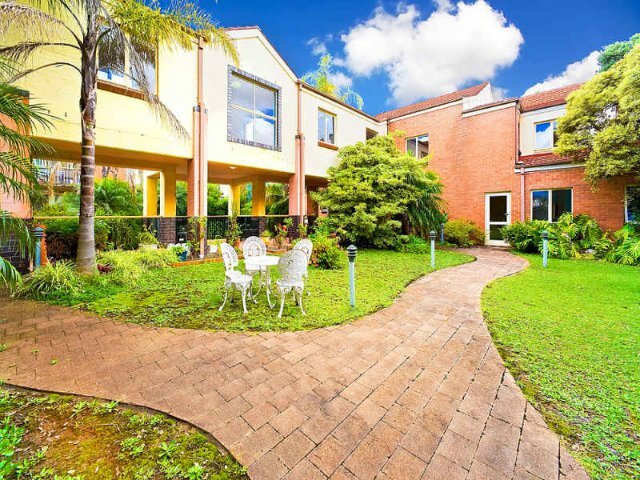 Unit 48 presents as a comfortable 1 bedroom unit in good condition with a bright aspect. 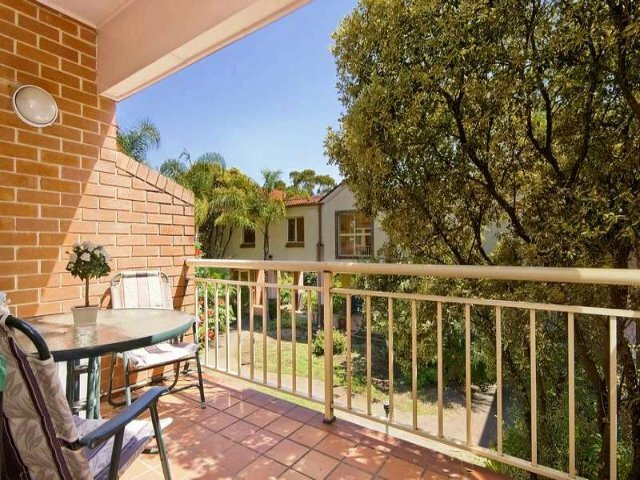 It has a lovely balcony overlooking the surrounding district. The unit is located on the first floor and is serviced by a lift. 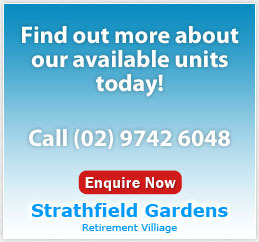 The village is fully serviced by lifts for your convenience. The heart of the village is our dining room where our residents gather for lunch and dinner. Here they are rewarded with lots of conversation and delicious home cooked meals. We are available to show you our wonderful village 7 days a week. Just give us a call on 02 9742 6048.